Two years ago, Mount Carmel boys’ basketball team assembled a scintillating run to the MIAA A Conference final. The Cougars are again making an impressive run. In a matchup of arguably the league’s hottest squads, No. 5 Mount Carmel defeated 14th-ranked Calvert Hall College, 71-62, on Old Eastern Avenue. Jordan Jones scored 18 points for the Cougars (18-6 overall, 9-4 MIAA A), and senior guard Terry Nolan finished with 15. Mount Carmel made the plays down the stretch, extending its winning streak to eight. The Cougars, who are now tied with McDonogh School for first in the Red Division, have won nine of 10 since the start of the new year. Two years ago, Mount Carmel ran off 16 straight before losing to Calvert Hall in the MIAA A final. Evans nailed a huge 3-pointer with 1 minute, 7 seconds left in regulation, giving Mount Carmel a 66-60 advantage. The Cardinals got to 66-62 after two free throws from Josh Cornish with 64 seconds left, but three free throws from Nolan and two from Jones in the final 45 seconds, put Mount Carmel in the clear. Cougars coach Hakim Hibbert said Jones, a transfer from Aberdeen, and junior Brandon Watson have adjusted to the high intensity of MIAA A competition. Cornish finished with 21 points for Calvert Hall (11-13, 6-7 MIAA), and Logan Curtis added 14. Coming off a huge victory at then-No. 1 Mount St. Joseph Friday, the Cardinals ran out of gas down the stretch Tuesday. The game was scheduled for Monday, but postponed because of weather concerns in Baltimore County. Both teams are back in action Wednesday evening as Calvert Hall travels to St. Maria Goretti for a BCL match while Mount Carmel visits No. 2 Mount St. Joseph at The Smith Center in Irvington. 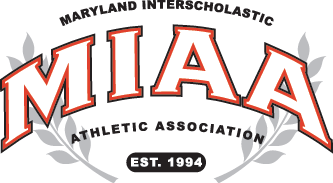 Calvert Hall – Doughty 7, Curtis 14, Adams 12, Lewis 5, Cornish 21. Totals 18 17-25 62.